In my previous article about OS X 7 Lion, I mentioned how one of my concerns for the new operating system was the price. If it sold for anything over $100, I wasn’t going to really consider it. Well, looks like I don’t need to put any more thought into whether or not to buy it because the price is right. For only $29 you get a full step up in an operating system that touts many new features. That alone is a pretty crazy notion. But wait, there’s more! Apple is again shifting paradigms on their heads. 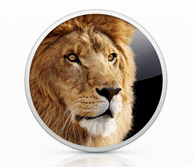 Lion will only be available as a 4 GB Mac App Store download this July. No install disc. No flash drive. Nothing physical at all. You can read more about the specifics of downloading Lion at Apple. The catch? From what I can tell, only anyone with the latest version of Snow Leopard will be able to access Lion. I can only guess that this means if you have Leopard, it will cost you $29 to upgrade to Snow Leopard and then another $29 to get Lion. Even at $60, that’s still a value, but a bit daunting. There really isn’t a shortcut to it either, because it’s all based in the Snow-Leopard-only-Mac-App-Store. It will be interesting to see if there’s some work around to archive the Lion install on a flash drive. Furthermore, the Intel Core Duo folks are finally forsaken to upgrades. In Apple’s typical fashion, they’re cutting out the hardware they consider “cruft.” Snow Leopard seemed to portray that only Intel Core 2 Duo Macs would be able to install it. I shirked the warning and was able to get Snow Leopard running just fine on my Core Duo MacBook. While, I don’t have my MacBook anymore, I still couldn’t imagine running Lion on it. The Core 2 Duo folks are still in the running, but it’s only a matter of time. It was hard to get a good impression of Lion without a developer copy and without any more information than the Apple site provided. But with WWDC underway, Apple has finally revealed more of their hand to the general public. I’ve seen what I need to see. In addition to the cool new features, the price can not be beat. Now we’ll see how hard it will be to download it the moment it becomes available.